It’s survival of the fittest at Ravendene Comprehensive – the terrifying teenage jungle for which Kim Lewis must trade her safe, posh private school. But help is at hand – in the unlikely form of the rude, raucous, toxic and tantalising Maria (aka Sugar) Sweet, queen of the ‘Ravers’. As Kim falls quickly under her spell, and gambles her good-girl past for an exciting life of late-night parties and daring emotion, she must ask herself a disturbing question: has she fallen in love with her best friend? 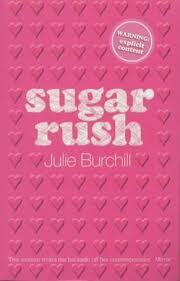 Categories: England, LGBT, Social/Family | Tags: Julie Burchill | Permalink.